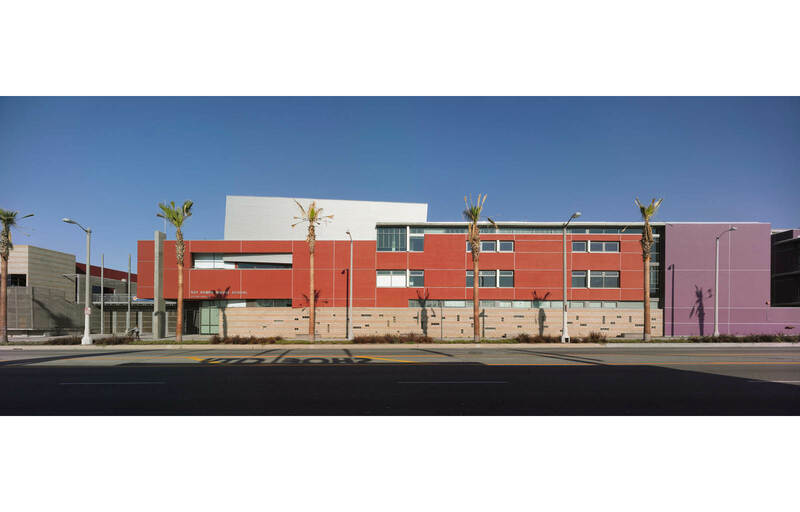 Johnson Fain provided programming, planning, urban design, architectural design, and interiors for the Los Angeles Unified School District’s new Roy Romer Middle School in the San Fernando Valley. Located at the northwest corner of Laurel Canyon Boulevard and Hamlin Street, the site is impacted by the 170 freeway located 1/2 mile west of the site and air traffic from nearby Van Nuys and Burbank Airports. The property is situated within a CRA designated redevelopment area. 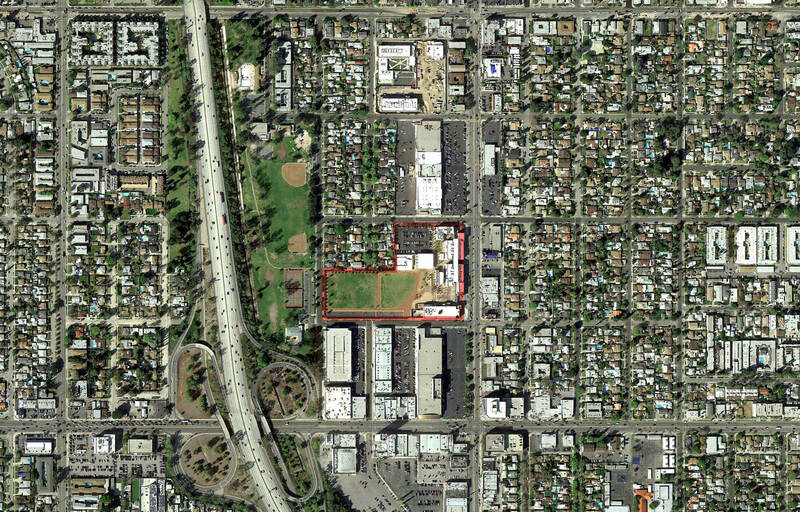 The L-shaped site is 9.5 acres, bounded by single family residential to the west, Laurel Canyon to the east, and Kittridge and Hamlin Streets on the north and south respectively. All streets except Laurel Canyon Boulevard are local residential streets. Laurel Canyon is a major north-south arterial connecting the north valley and the city of Los Angeles; this portion of Laurel Canyon is largely strip-commercial and multi-family residential housing. 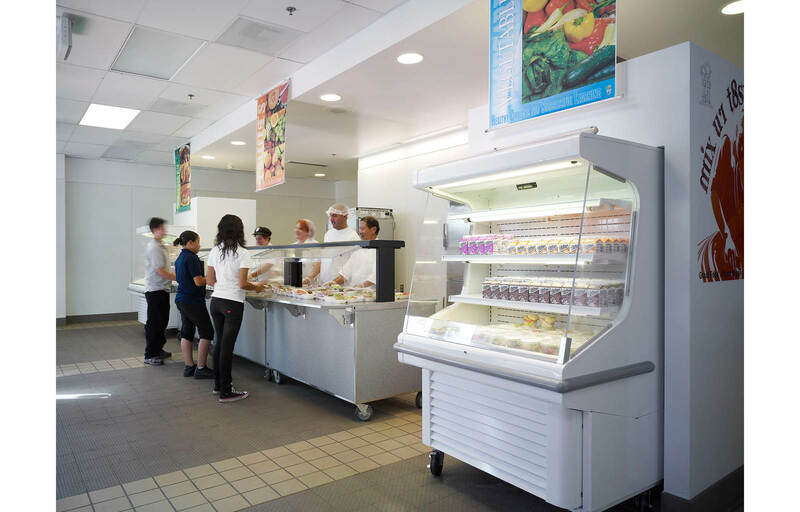 The challenge at Roy Romer Middle School was to provide for the program for 1,647 middle school students within this constrained urban site. 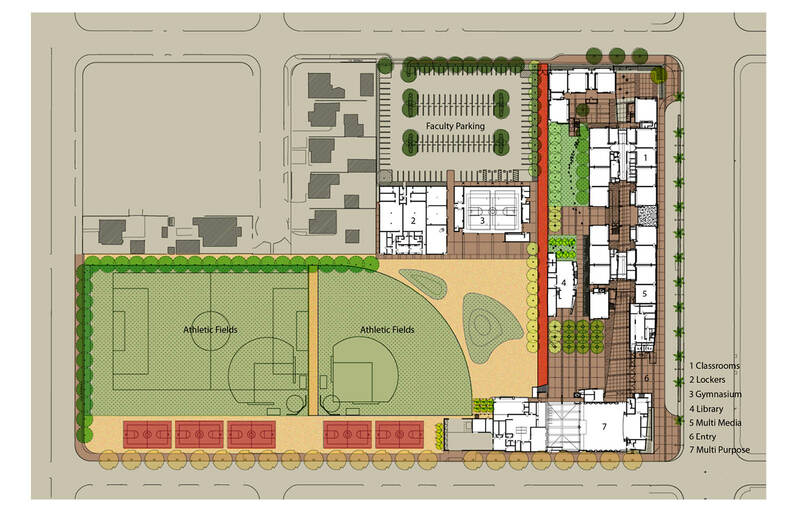 Following a study of alternative site plan configurations, the selected solution organizes campus buildings around a large central public square that serves as the school’s entry and major social center and buffers it from the noise and confusion of its surroundings. 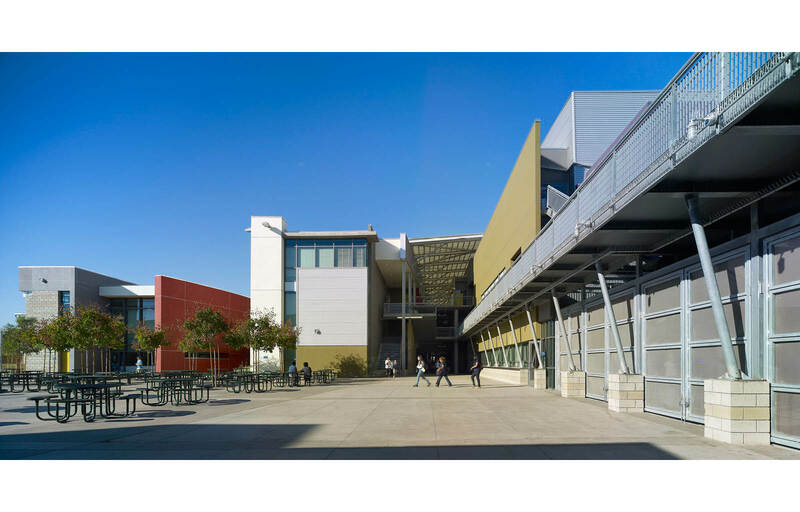 Accessed from Laurel Canyon Boulevard, the square is defined by four major areas including a Classroom and Administration Wing, a Multi-Purpose Building, a Multi Media Center, and Gymnasium/ Fitness Center. 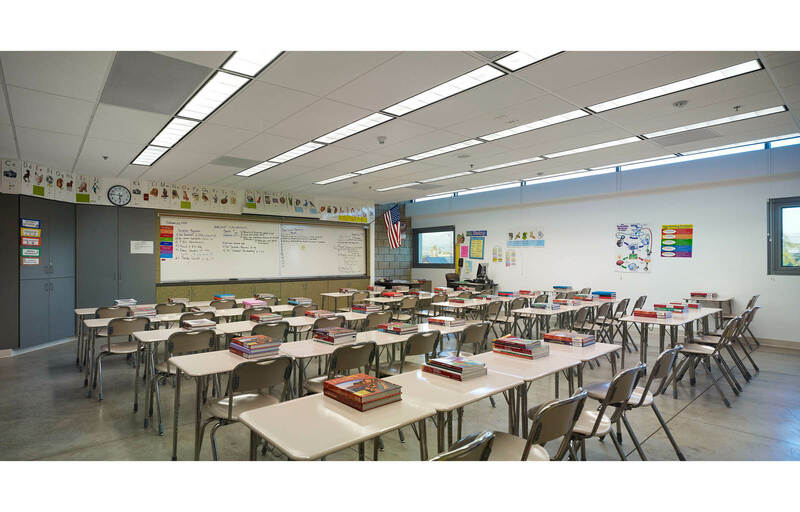 The site and building plan is based in part on a series of north-south building and landscape elements that create an inner sanctum with a variety of spaces for small group socialization and instruction. 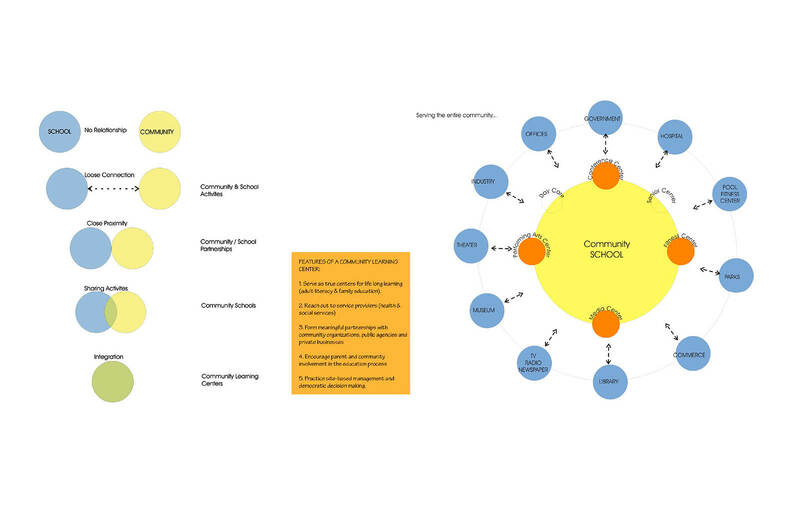 The school’s program was based on interpretation of a “community school” model, where the school is a welcoming beacon—and offers a range of services—to the community at large.